The coal market in the region, which saw hope after the Supreme Court recently allowed transportation of coal from the mines of Meghalaya, is facing fresh hardship post demonetisation. 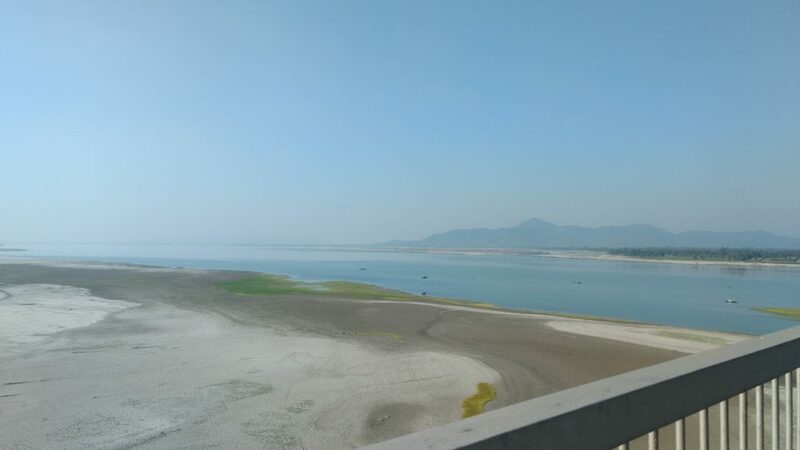 Kabaitary (Bongaigaon, Assam): The open sky over the enormous expansive Brahmaputra made for an exhilarating sight from the Naranarayan Setu – the third bridge over the river inaugurated by the former prime minister Atal Bihari Vajpayee in 1998. The sudden transformation of the panorama – soon after leaving the 2.8 km long bridge – was rather sharp. The road led to a soot-soaked small settlement called Kabaitary. After the bridge was constructed, Kabaitary became the region’s biggest market for coal, mined in the South Garo Hills of Meghalaya, which is located about 150 kms away. A part of Jogighopa town, Kabaitary is strategically located. It marks the beginning of the state’s Bongaigaon district which goes on to touch the Assam-Bengal border, a gateway to the rest of the country, which is why the coal trade moved to Kabaitary from the neighbouring Goalpara district after the bridge was built. The highway passing through Kabaitary was then typically lined with hundreds of trucks. Interestingly, some were empty while some others were laden with coal. Groups of labourers could be seen shovelling coal from the trucks that were standing at a few depots while some others were sitting by the roadside, chatting and soaking in the mid-morning sun. A graduate of Goalpara College, Das looked for a government job for about a year before becoming a truck driver in 2009 carting coal from the South Garo Hills to Kabaitary. Four days a week, for eight months in a year (business slows down for four months in Kabaitary due to heavy rains in the Garo Hills), he traversed through the hilly track, several times coming face to face with armed extortionists in Meghalaya. “I will take you to my former employer to know what is going on the ground post demonetisation in Kabaitary. He will also tell you why people like me are no more associated with the trade,” he offered. Das’s former employer, Ashok Jain, is the owner of a fleet of trucks, a coal depot and a fuel station in Kabaitary. He set up shop in 1998 after the coal trade moved from Goalpara, about 25 kms away. 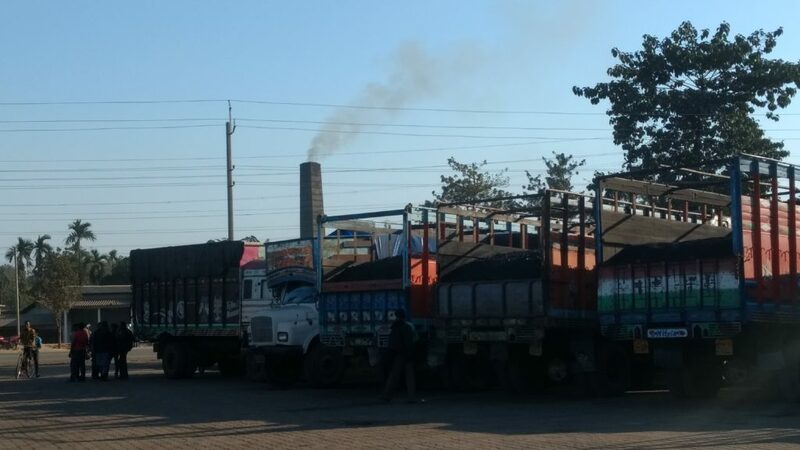 Transportation of coal from the South Garo Hills to Kabaitary resumed on October 1 after a gap of eight months as per a Supreme Court order. In April 2014, the National Green Tribunal (NGT) clamped a ban on rat-hole mining in Meghalaya in response to a petition by two Assam-based organisations of the Dimasa community. The petitioners alleged that the drinking water in the Kupli river had been severely polluted by the drainage of acid from the coal mines of Meghalaya’s Jaintia Hills. Overnight, the ban stopped all mining activities, not only in the state’s East Jaintia Hills but also in the West Khasi Hills and the South Garo Hills. In response to an appeal by the Hima Nongstoin Land Owners’ Association – which sought permission to sell the coal stocks already lying with them – the Supreme Court allowed its transportation from October 1 to May 31, 2017, but only within the Northeast. “Still, the news came as a breather to Kabaitary. Many labourers and others associated with the trade here, who were facing a lot of hardship after the ban, at once came back to work. But the sudden demonetisation move has come as a big hindrance,” said Jain. There are 250 depots in Kabaitary with each employing at least 15 permanent labourers and other daily wagers besides office staff. As many as 500 trucks operate on the route from Kabaitary to the South Garo Hills. “Each truck has at least two drivers and a helper. The owners need cash to pay their weekly salaries, and also at least Rs 30,000 in cash per truck to be able to go to the mines. The cash is required for paying taxes in toll booths set up in Meghalaya, some illegally put up by extortionists. But the banks have not been able to provide us that much cash, forcing most truck owners to park their vehicles on the highway. That is why you can see so many empty trucks here,” Jain explained. Every day, there is a cash transaction of at least Rs 2 crore at Kabaitary. “The buyers, who used to pay us mostly in cash, have begun paying us in cheques since November 8, but we have not been able to encash those cheques to run the daily business as the banks in Kabaitary are either mostly running dry or not giving us the amount we want because of the RBI’s cap on daily withdrawal,” he said. Jain was soon joined by Nagen Ray, the president of Jogighopa Anchalik Coal Brokers Association which has 700 local brokers as members. Over tea, Ray further delineated the sequence of events that had led to the gradual fall of Kabaitary from the country’s coal map and the role demonetisation has played to further break the back of the coal business. The coal yard alone, which closed down after the NGT ban, employed over 2700 local labourers and other workers. The cab driver, Das, was one such young man. “I am a graduate and also have a plot of family land in Goalpara town. So I could get a bank loan to buy a taxi, but some of the people I know from the Jogighopa area and also from Goalpara have left for Guwahati looking for jobs. Some went to Goa and Andhra Pradesh to work as guards at apartments and malls; some others are somehow managing by farming other people’s land here,” Das told this correspondent. “I can’t sleep at night thinking what would I do now for a living. The appeal by the Meghalaya state coordination committee of coal owners, miners and dealers’ forum to the NGT to lift the ban is going on (the next hearing is slated for January 31, 2017), so I don’t want to say much. But I would still like to add that the worst sufferers from this ban are the labourers and other small time workers. They have no savings, most of them have no land. The government doesn’t have an alternate plan for them. So where will they suddenly go?” Ray asked. Ali and some other labourers have already pulled out their children from local schools. “We are back to basic needs now, education can wait,” shot back labourer Moinul Haq when asked about it. Most labourers associated with the coal trade in Kabaitary are Bengali speaking Muslims belonging to Bongaigaon and Goalpara districts, locally called Bhatia. The NGT has asked the mine owners to pay a royalty to the government. 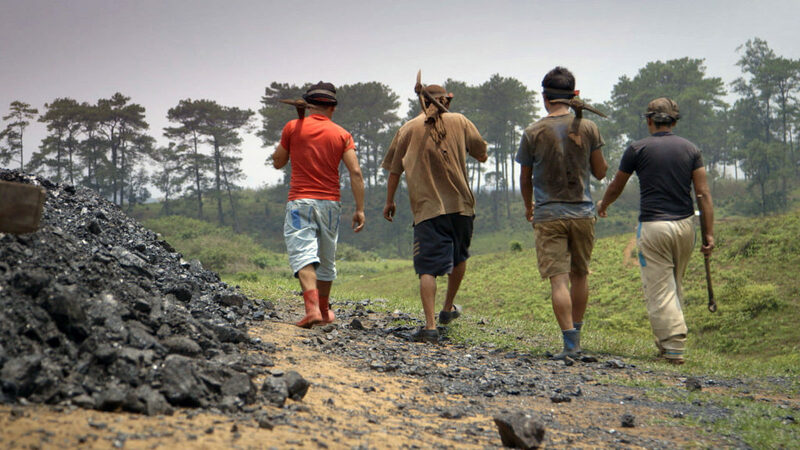 On December 14, it asked the Meghalaya government to furnish a comprehensive plan for mining within two weeks. Earlier, the state government submitted draft mining rules to the NGT and other related central ministries. However, the NGT has now sought a much more comprehensive plan from the state. According to local news report, the state has not responded to it hoping the Centre would exempt it from the central coal mining laws. State chief secretary K. S. Kropha reportedly met the principal secretary at the Prime Minister’s Office in New Delhi in the first week of December to urge the Centre to grant the exemption. The president, with the approval of the Centre, can issue a notification under Para 12 (A) of the Sixth Schedule of the constitution to exempt the autonomous areas of Meghalaya from the central mining laws. If the plea is refused, the state will have to conform to the clauses in the Coal Mines Nationalisation Act, 1973 and the Mines and Minerals Development Regulation Act, 1957. According to section 3 of the Coal Mines Nationalisation Act, the right, title and interest of the owners in relation to the coal mines will then be with the central government, which the state and the coal miners don’t favour. 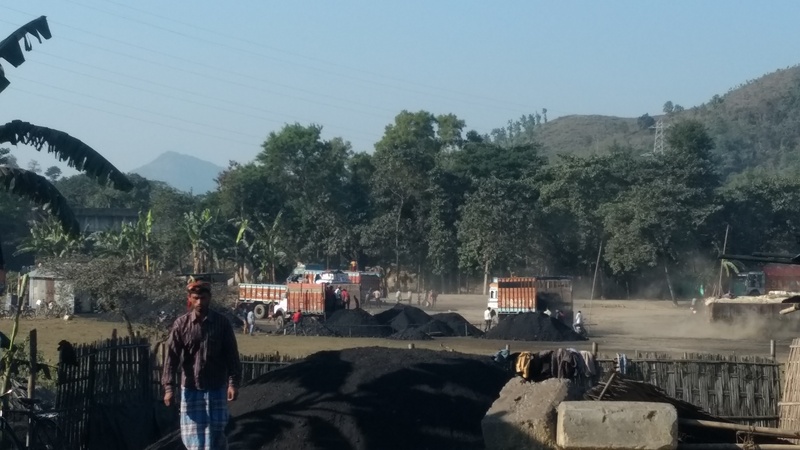 Meanwhile, in Goalpara town, Abdul Ali had just arrived with a truck loaded with coal from the Jadi area of the South Garo Hills. 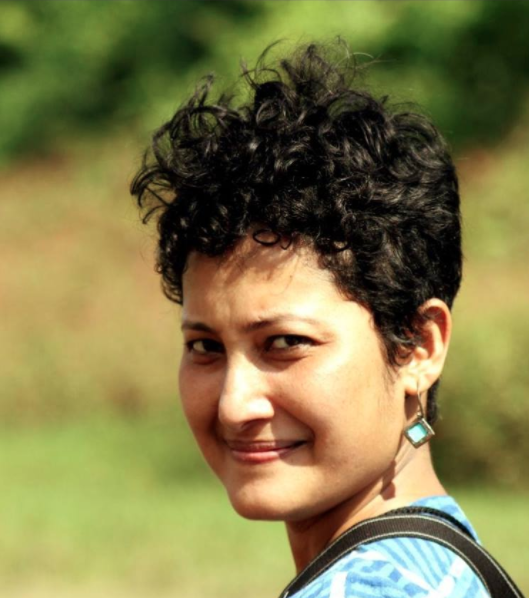 “Over a hundred trucks have been waiting on the Assam-Meghalaya border for days together. They have no cash to pay the taxes at the border. In the Garo Hills, the entire trade is still being done in old notes. So they had the option of using the old notes, but that is not the case on the Assam side. So they are stuck,” Abdul related to The Wire. In order to make the trip post demonetisation, Abdul formulated a plan. “The banks in Kabaitary are nearly dry. So I asked some of my labourers and friends to stand in queue for me in Goalpara town to take out money from my account there. That helped me to collect Rs 1,50,000 to be able to go once this week to the mines to buy coal and also to be able to pay all the taxes on the way. Without the hassle of cash, I would have gone to the mines three times this week,” he said.